Stewart R: And so, with a big budget, Hollywood, live action version of Guardians Of The Galaxy due to start filming this year and see release next, and Marvel’s inhouse writer supreme Brian Michael Bendis having grown tired with his Avengers mandate and looking to spread his creative wings a touch, we have seen the preparation and now release of a new Guardians Of The Galaxy comic book. But wait, this is not the true debut as such, but rather one of Marvel’s baffling ‘Point One’ issues which serves as a prologue and revisited/expanded look at the origin story of Peter Quill - I recently picked up Marvel Spotlight #6, released in 1980, and the story of how the hero came to exist is quite faithfully lifted from Doug Moench’s work by Bendis. By sticking so closely to that particular story, covered in just 5 pages back in the day, Bendis has been free to utilise the massive amount of breathing room at his disposal to linger on the one-in-a-million love story that unfolds between Peter’s parents: his ‘Earther’ mother Meredith and heir to the Spartoi throne, J’Son of Spartax, and the events that follow a decade later. 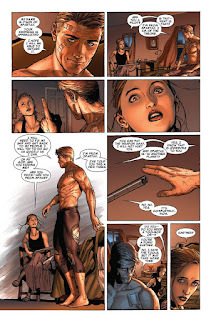 Those initial pages where Meredith nurses and cares for the intergalactic survivor show just why McNiven has been brought into the fold; his care with the transition from action to emotion clear to see and his expression work is some of the strongest to flow from his pencil in many years. 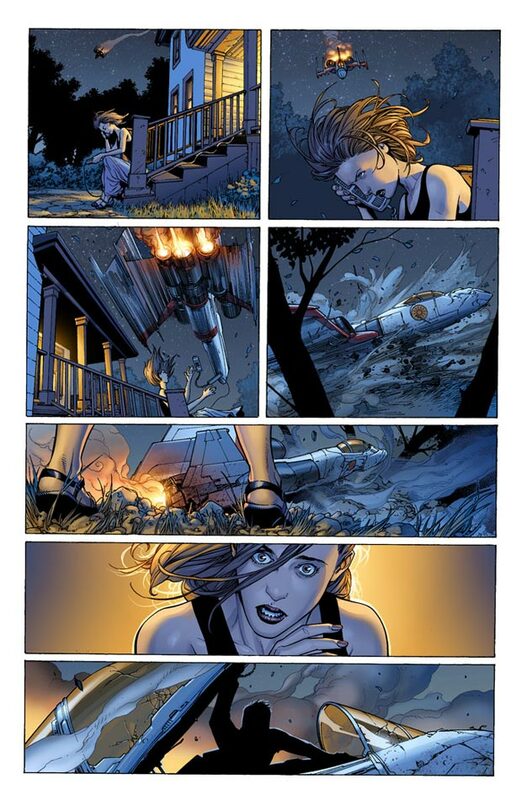 It’s actually quite relieving to see Bendis trust in McNiven’s storytelling abilities and, arguably, the very simple and repetitively used idea of finding love with an unlikely ‘alien’ stranger from far away - see Starman, King Kong, and Short Circuit (har har) - lends itself to the first half of the book, keeping the dialogue light, snappy and leaving the pictures to prove that they are indeed worth a thousand words. Bendis tends to work best when he goes sparingly on the exposition and dialogue and he certainly employs that ability here. It’s from the point that the young Peter turns up that we can see BMB start to mold his young charge into the version of Star-Lord that he wants to write. 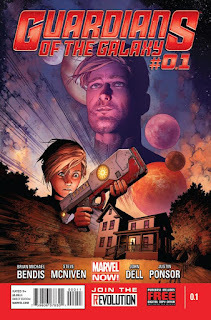 We’re led to believe that we’re witnessing the stubborn yet well meaning childhood of a ten year-old boy, yet Bendis and to a degree McNiven make him seem a few years further on into his adolescence due to some somewhat hazy dialogue and pencilling on him and the surrounding cast, but it’s easily overlooked. Unfortunately for me, Bendis sticks far too closely to the early hero formula with his example of Peter standing up for what he believes in and while it works because of Meredith’s reaction I’d have liked Bendis to be a touch braver with his adaptation here, potentially allowing a character flaw or two raise their heads, which could have been carried on into the series proper. 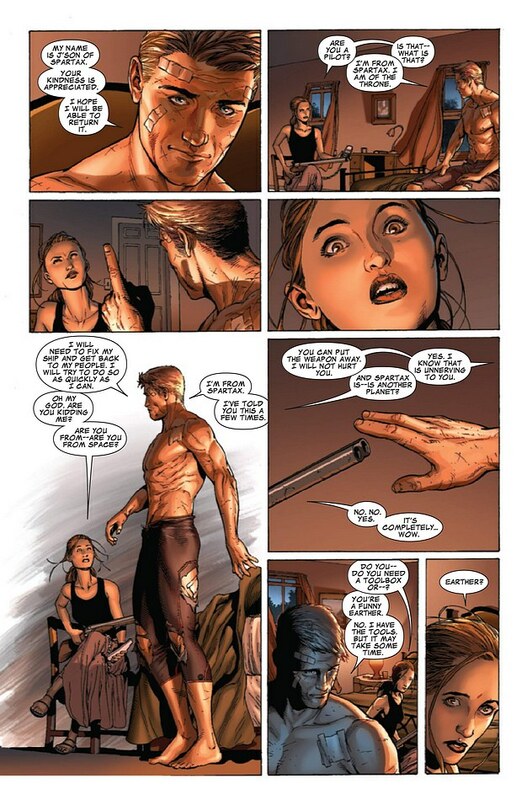 What then follows is a startlingly bad panel from McNiven - where the first laser shot rings out - and the first trial by fire that the young Quill must face, which McNiven then delivers with poise and polish to then leave us, present day, out in the cosmos somewhere with the adult Star-Lord finishing the recounting of his tale to a very familiar face (I’ll leave the surprise for the few who don’t already know). It just leaves us to hear the rather broad and vague mandate by which he and the rest of the Guardians of the Galaxy work. Fade to black, curtain falls and audience heads to the exit. Harsh, I was surprised how good it was! I will admit to being a bit of a Bendis fan. Why his work on Avengers didn't always click I adore his USM run and find that same quality on show with this and his recent X work. I think a change of scene has done him the world of good. Personally I found this to be the strongest mainstream comic script from Bendis I've read in long, long while, which I wasn't expecting. Nothing original going on, but very well executed. I actually feel quite positive about this series now! And, of course, that's coming from someone who's had substantial issues with Bendis' mainstream output for many years now! Steve Gan is still the best and you will find this little gem in Marvels black and white magazine from 1976 called Marvel Preview issue #4,but over all a nice review.